It has been sucha a hectic time after the viva, visa, corrections, etc that some very good news from Venezuela did not find the space for me to write about. 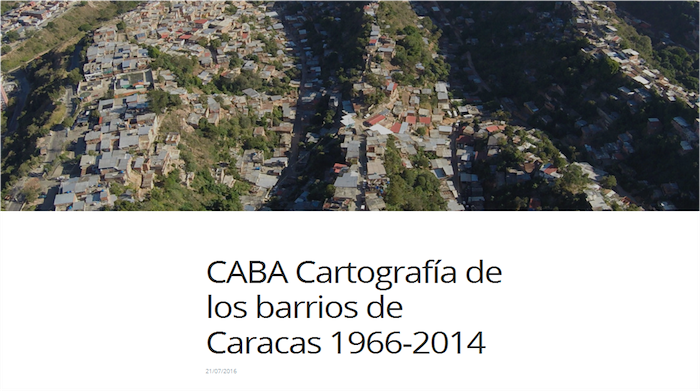 Last year saw the publication in Venezuela of the book CABA, Cartography of Caracas Barrios, 1966-2014. And admirable effort by private developer Maximo Sacchini, working along with the architecture firm Enlace Arquitectura. 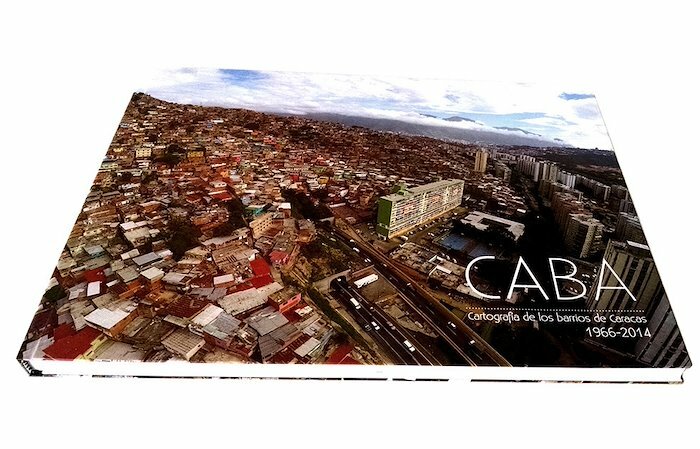 CABA has done what no local authority, government or public entity had been able to articulate into one document: a cartographic map of the growth of Caracas informal settlements in the last 50 years. It grants a denied visibility to the barrios, historically absent from conventional cartography. The information and data carried by the maps followed the guidelines of the national ‘Inventory of Barrios', proposed in the 1990s by architects Josefina Baldo and Federico Villanueva.